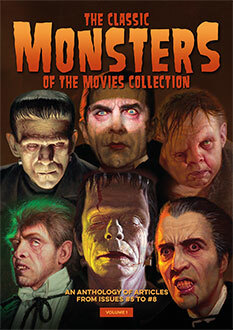 Master Monster Maker (Howard) Roy Ashton was born on the 16th of April, 1909 in Perth, Western Australia. 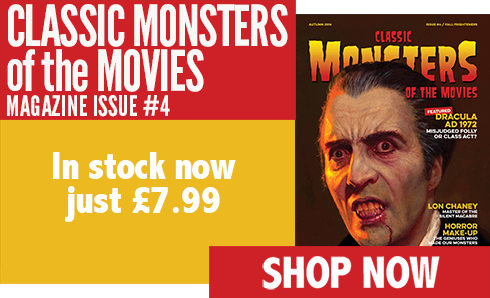 Originally a tenor, and associated for a while with Benjamin Britten’s English Opera Group, Ashton became a key make-up artist for Hammer, and on British Horror Films in general. 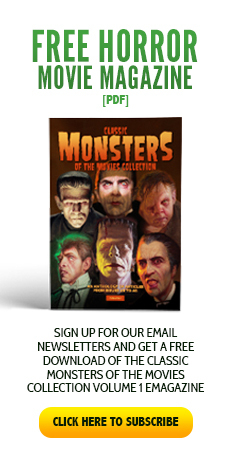 After assisting Phil Leakey on The Curse of Frankenstein (1957), he took the reins in The Hound of the Baskervilles (1959) and created some of the studio’s most celebrated images in films, such as The Mummy (1959), The Curse of the Werewolf (1961) and The Reptile (1966). 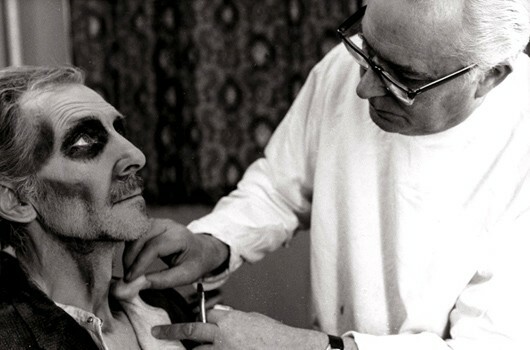 The picture above shows Roy Ashton working on Peter Cushing’s make-up for the character of Arthur Grimsdyke in Tales From the Crypt (Amicus 1972). He died on the 10th of January, 1995, aged 85.